Dr. Litster graduated as a veterinarian in 1982 and holds a PhD in Feline Heartworm Disease and a Master's degree in Clinical Epidemiology. She is a boarded specialist in Feline Medicine and has published over 60 papers in peer-reviewed journals. She is the co-Editor in Chief of The Veterinary Journal. 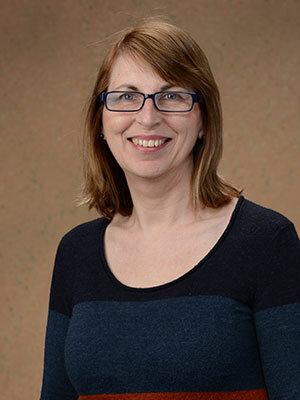 In 2007, Dr. Litster came to the USA to take up a faculty position at Purdue University where she was a tenured Associate Professor of Small Animal Internal Medicine. Dr Litster joined Zoetis in January 2014 as a Senior Veterinary Specialist with focus areas in infectious diseases, shelter medicine and feline medicine. She holds adjunct faculty positions at Purdue University and at the University of Nottingham in the UK. Dr. Litster's children live in Australia, Tanzania and Florida, and she lives with her husband between the US and the UK. Feline injection site sarcomas are the focus of passionate and widely divergent points of view. While expert opinions abound, solid epidemiologic evidence is difficult to generate and peer-reviewed publications on the topic are not always easily available to practicing veterinarians. This presentation will review the typical history, pathogenesis, risk factors, incidence studies, and case management and prognosis for feline injection site sarcomas. There will be a firm emphasis on practical evidence-based information from published epidemiologic studies and reviews of the topic from peer-reviewed veterinary journals. Published evidence on the role of vaccination type, separating evidence from opinion, will be presented in a balanced, scientific manner.